I seem to be on a lace kick at the moment; baby hats, a crocheted bath mat, a shawlette, mitts, and yellow socks so far this year. 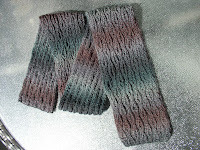 Then I knit a lace scarf for DD#5. 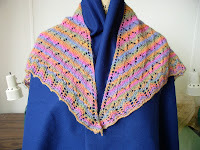 It's a simple drop stitch pattern. I had one ball of yarn and knit until it was gone. 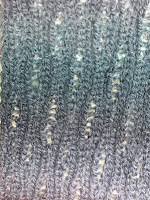 The yarn is Crystal Palace Yarn's Sausalito, a superwash wool/nylon blend. The lime green mystery socks are finished. The yarn is Knit One Crochet Too Ty-Dy sock. I have a surprising number of lime green clothes, so these will get a lot of wear. 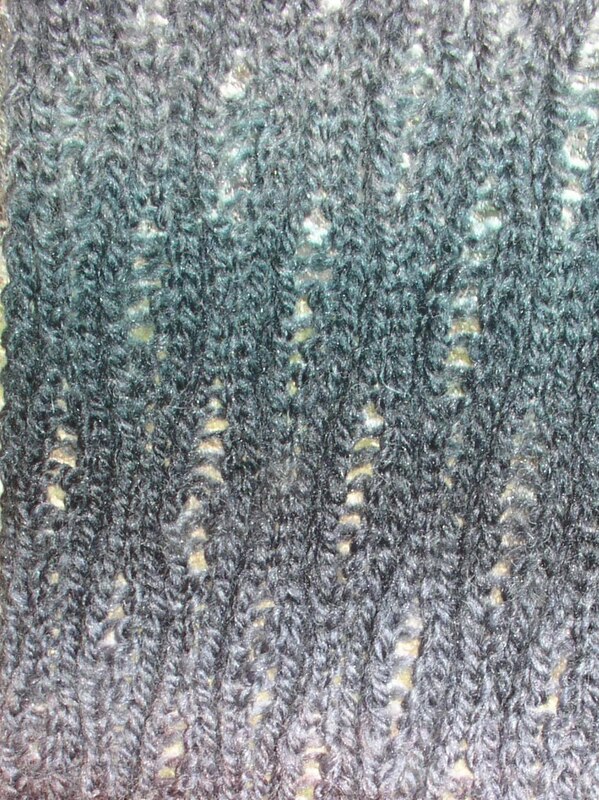 I've been trying to design a scarf from variegated yarn for Plymouth Yarn. 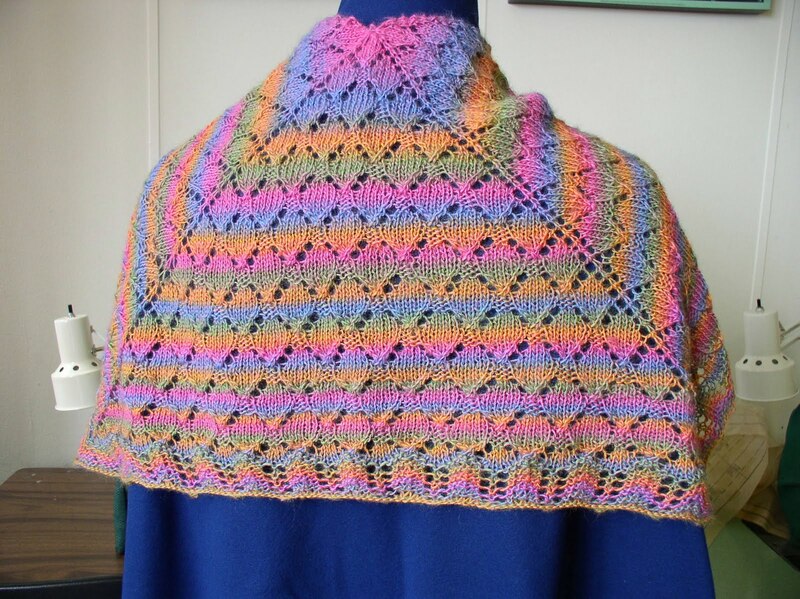 This one is 3 triangles, sort of like a sailor collar. 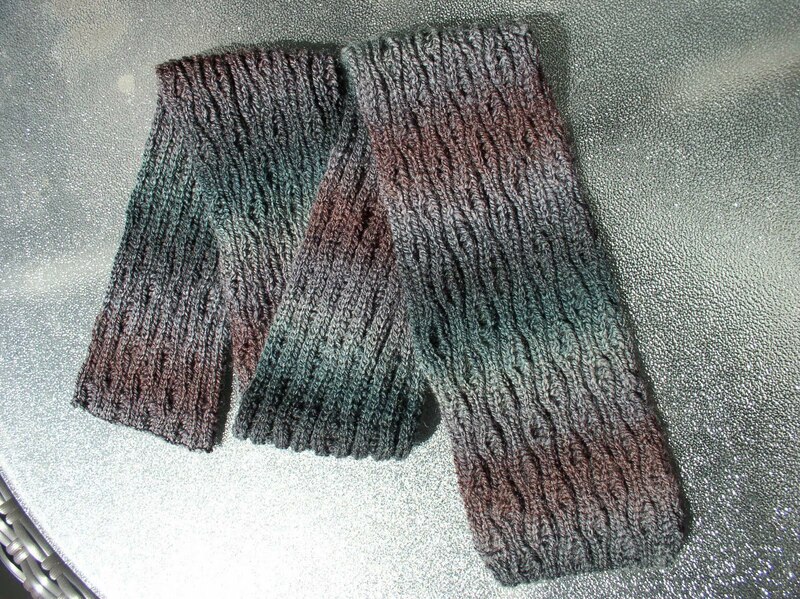 I'm not really happy with the edging, but I'm tired of working with the yarn and I give up. I do have another color of the same yarn and will try a different idea with that. The yarn is Zino, a wool/nylon blend designed for socks. The repeats are long. I've seen nice mitts from it also. I thought I was casting on enough stitches for 2 triangles plus edges, but it worked out to be 3 triangles. 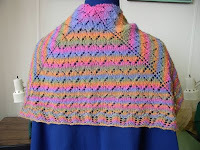 I think it is long enough, but I haven't written the pattern, because I am unhappy with the final product. 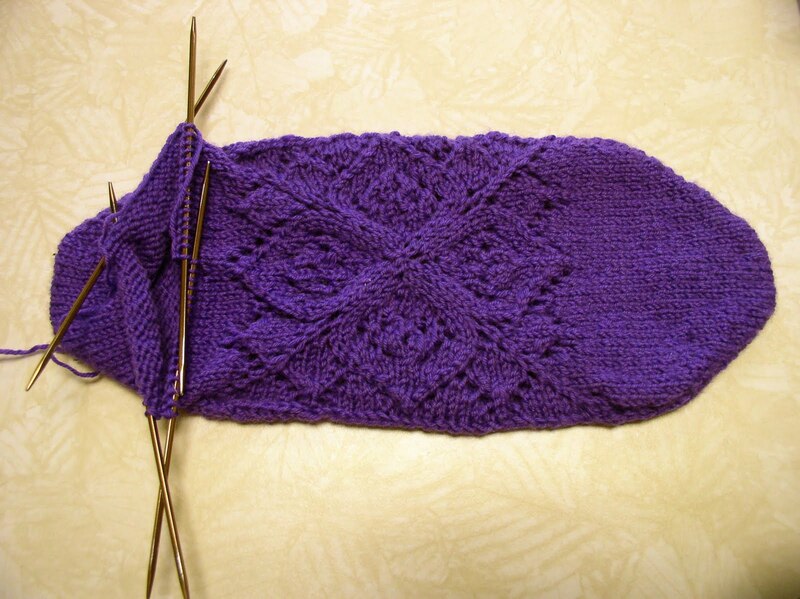 This week's project is an oddly constructed lace sock designed by Stephanie van der Linden. 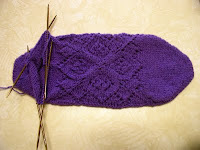 It starts with the square lace motif, continues down the short row toe off one side of the square. The sole is attached to live stitches on the sides of the square and a short row heel worked when foot length reaches the right point. From that point, the leg is stockinette. I added a lace ribbing tot he top. 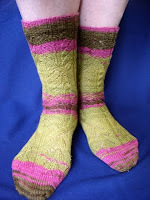 I'm using recycled yarn, so want to wash the sock before final photos. The yarn is Oasis Yarns Aussi Sock, which used to be a sweater. It's along story. I didn't design or knit the sweater, but I was supposed to redesign it. Not possible from where I started.